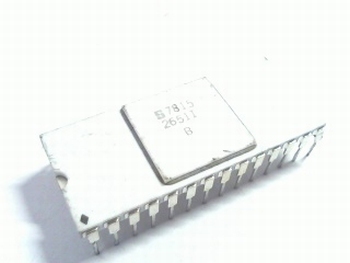 Signetics 2650 is a 8-bit microprocessor introduced at about the same time or shortly thereafter Intel 8080 and Motorola 6800 CPU families. In some aspects the 2650 was more advanced than the 8080/6800 microprocessors, while in many others it was not as good as those processors. The 2650 supported only 32 KB of memory. The CPU included 7 general registers - register 0 and two banks of registers 1, 2 and 3. The processor could switch the banks of registers at any time by setting/resetting a flag in program status word register. Unfortunately, all registers could work only with 8-bit data, which was very inconvenient when working with 16-bit data. 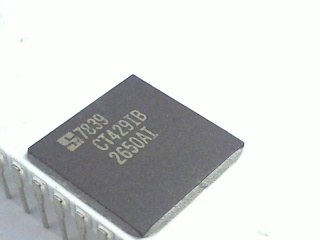 The 2650 supported many addressing modes, including such modes as indexed auto-decrement and auto-increment ones. At the same time indexed modes on 2650 were limited in the sense that they could only work within current 8 KB memory page. Indexed modes were also limited by the fact that they used 8-bit registers, and working with memory blocks larger than 256 bytes required additional program logic. instruction set of the 2650. 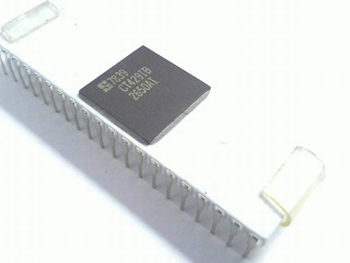 From other limitations of the 2650 it's worth to mention on-chip stack memory. The stack had only 8 levels, and it was not possible to use it to store data.